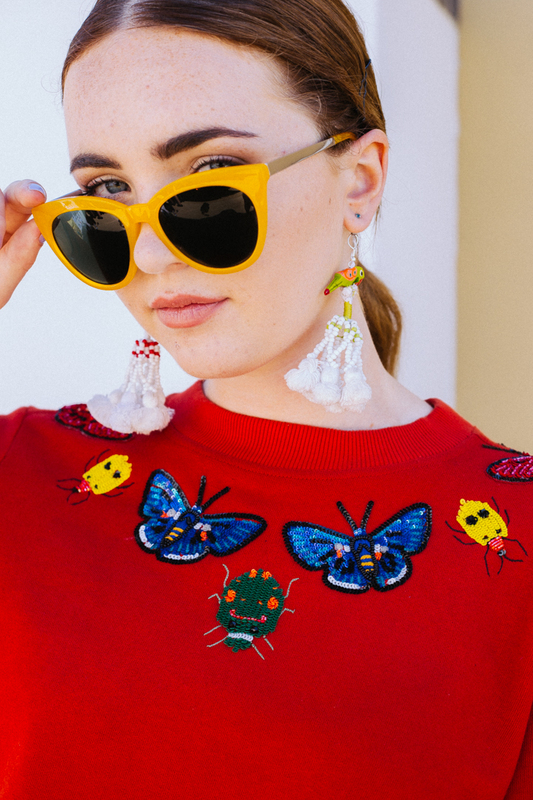 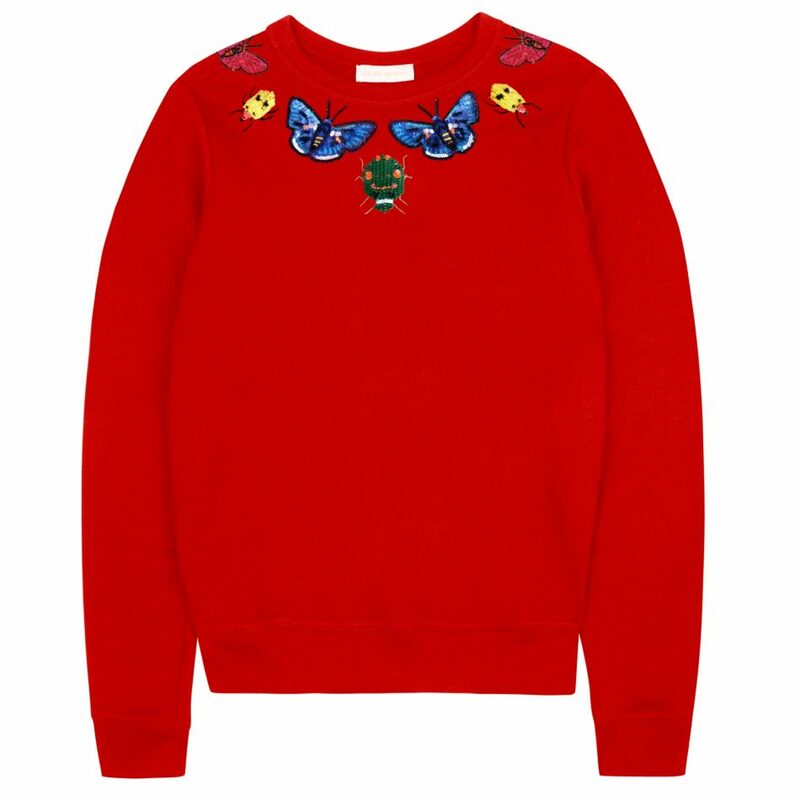 Ornate, gem like bugs and butterflies dance the neckline of this beautiful sweatshirt. 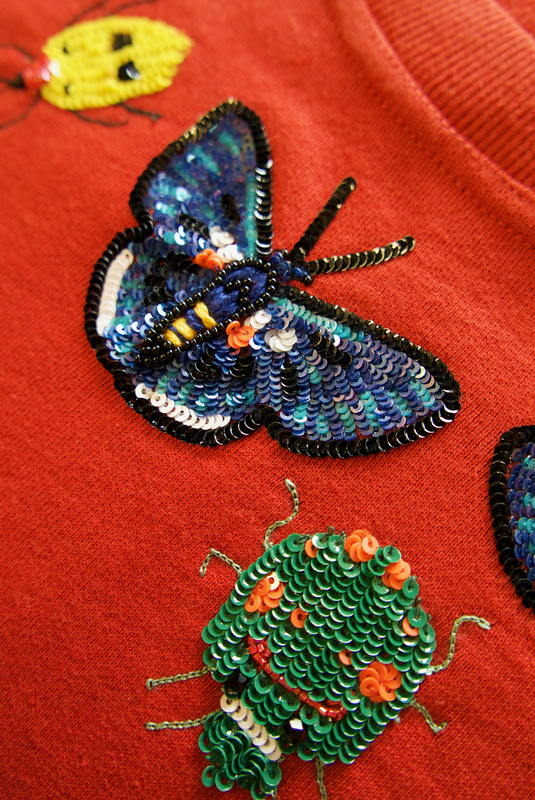 Each sweatshirt is delicately hand embellished with 18 types of beads and sequins, taking 2 artisans 5 hours to make. 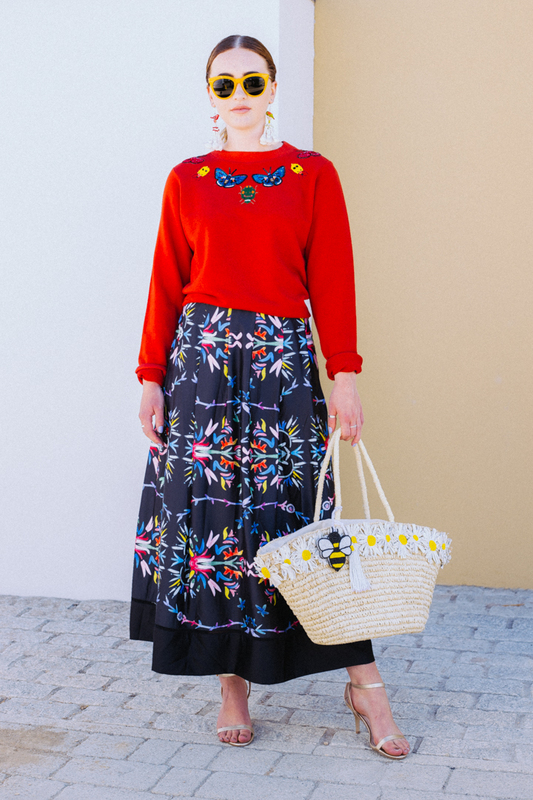 Any Natural imperfections are part of its story.